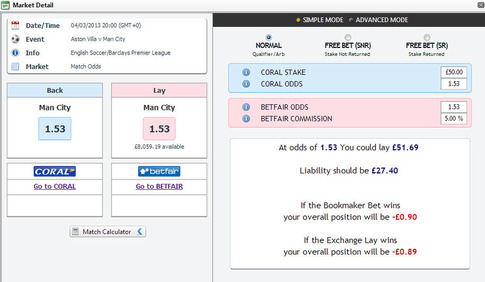 Another £35 risk-free and hassle-free! 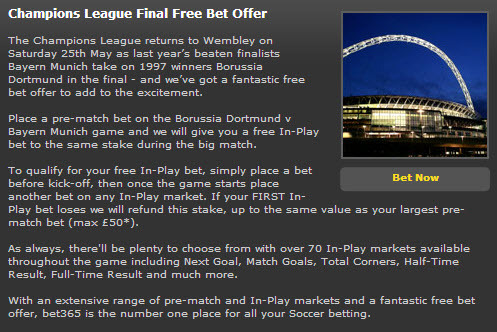 Don't miss out on this terrific opportunity of a £50 free bet available for all tonight at Bet365 - if played the risk-free way, this should make you a tidy profit of around £35. Terms and conditions apply - see website for details. If you're yet to use our Oddsmatcher yet, then please see below a great example of how it found and calculated the bets on close matches for both the qualifying and free bet. 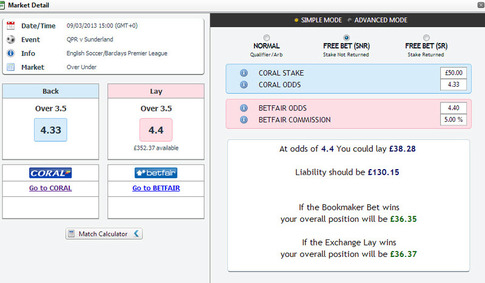 Over £35 risk-free profit could've been made by all new customers of Coral, cashing in on their £50 free bet offer the clever way! £50 free bet for all!!! 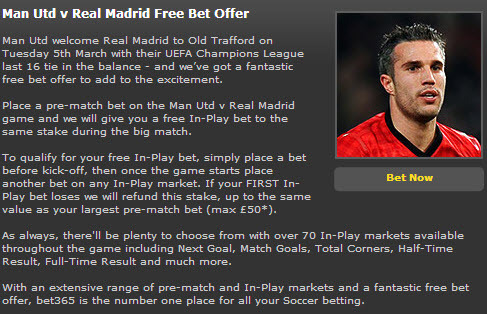 Real Madrid and Man Utd clash in the last 16 of the UEFA Champions League at the Santiago Bernabeu Stadium on Wednesday 13th February - and we’ve got a fantastic free bet offer to add to the excitement.